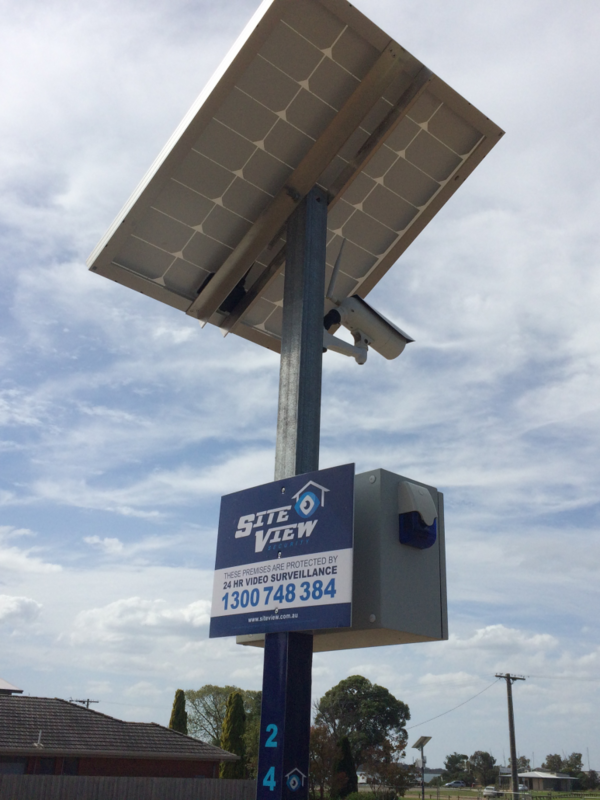 The Site View Security system is a standalone solar powered unit requiring no mains power to operate. It has viewing capabilities of 80 degrees and will capture vision up to 30 meters during the day and up to 15 meters at night. Operates on the 3G/4G network capturing clear HD video with infrared night vision capabilities. 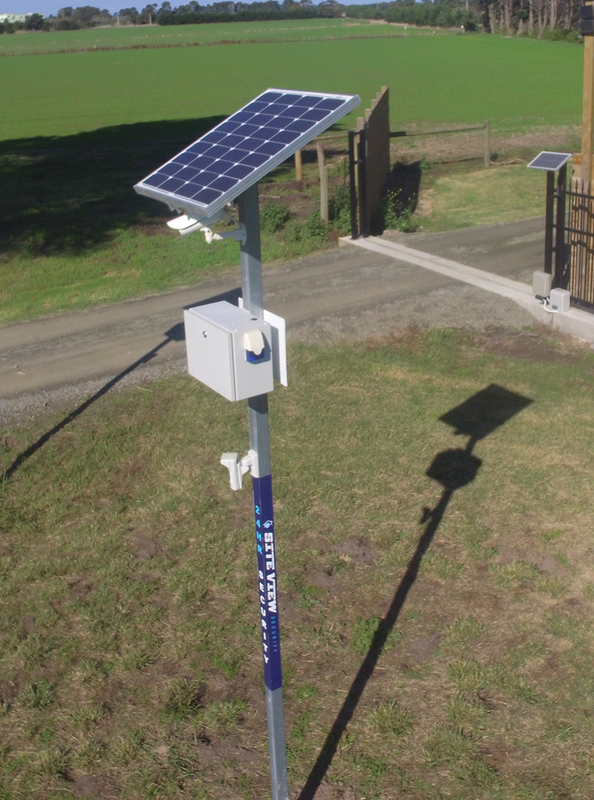 Site View Security system also incorporates two audible sirens & strobe lights. Instant live viewing of your site 24 hours a day 7 days a week via our Site View App. on any Android or IOS smart phone or tablet device. The capability to send automated scheduled emails, daily, weekly or monthly with high definition images to nominated staff and or clients. Alarm monitoring with the option for Police and/or Security patrol response to site. Fully Supported by the Victorian Police – priority 2 Police response. High quality PIR sensors which have been trailed and tested to minimise false activations. 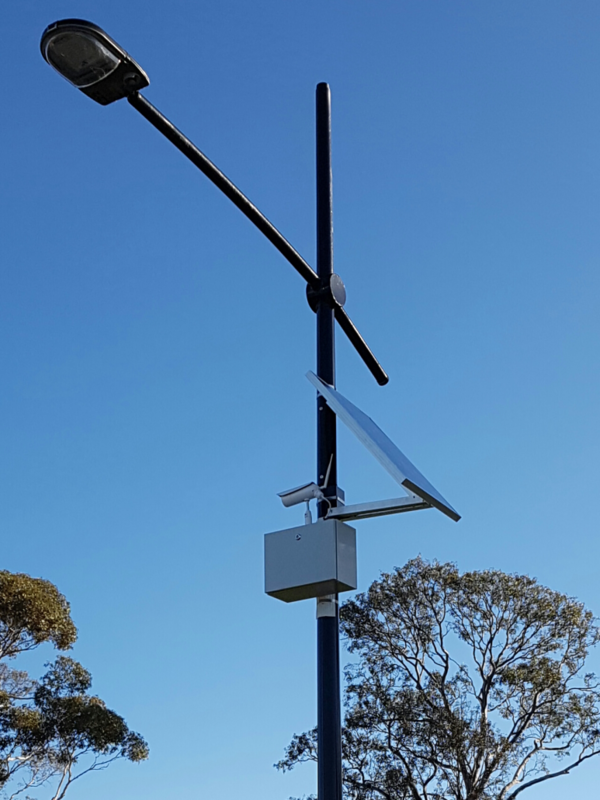 It can be installed absolutely anywhere on any site, either in the ground, onto cranes, existing light poles, onto buildings or alternatively powered units installed in site huts and site offices. 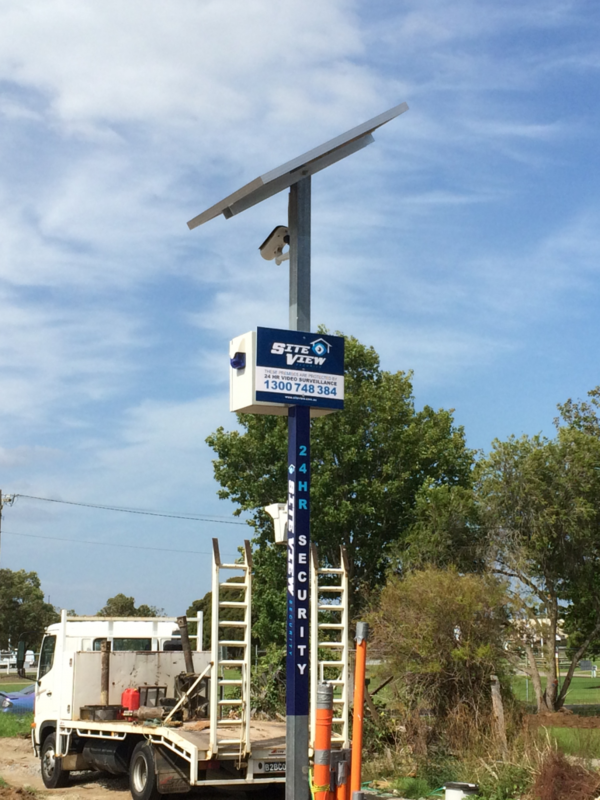 Camera records and stores all daily activities on site, minimising the potential for theft, rubbish dumping & vandalism. Monitor & confirm deliveries and the activities of staff and contractors. Increased security for staff working on site. Reduces the need to travel to multiple sites to simply check on progress of the project. Provide clients, investors, relevant staff or third parties with live viewing access. 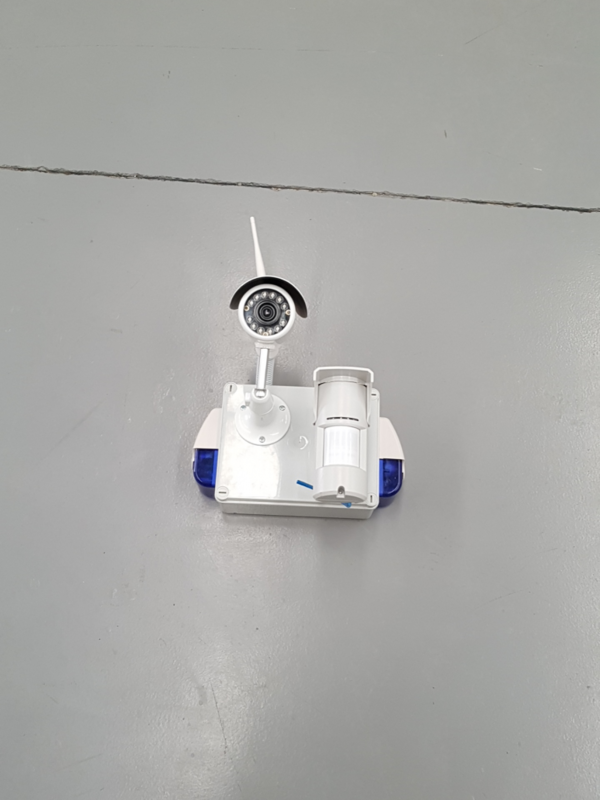 Acts as a monitored intruder detection security system for after hours, protecting assets at isolated building sites, compounds and dumping hotspots. Provide clients with activation footage daily. Has the ability to take a time lapse recording of the entire building/development process which can be used for future marketing and promotional material. 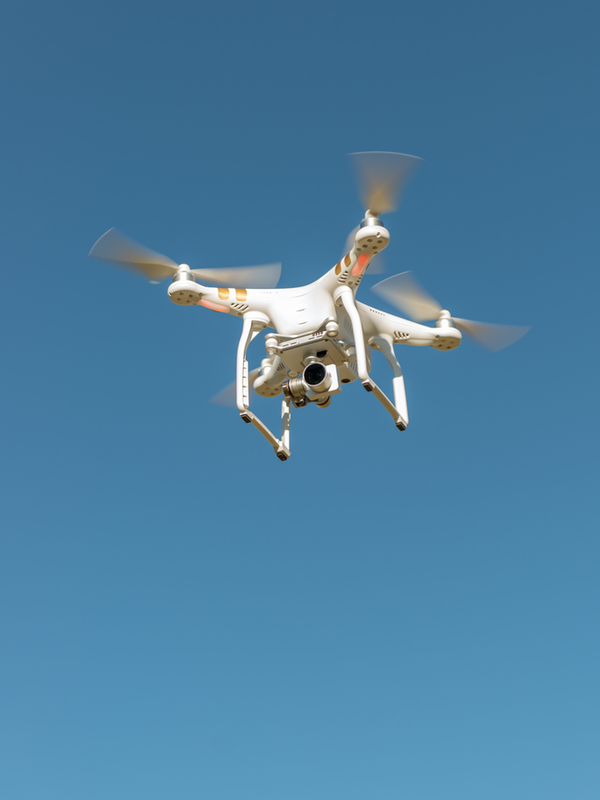 In addition, and upon request, Site View can supply stage payment photos and capture aerial shots utilising the Site View Security Drone. 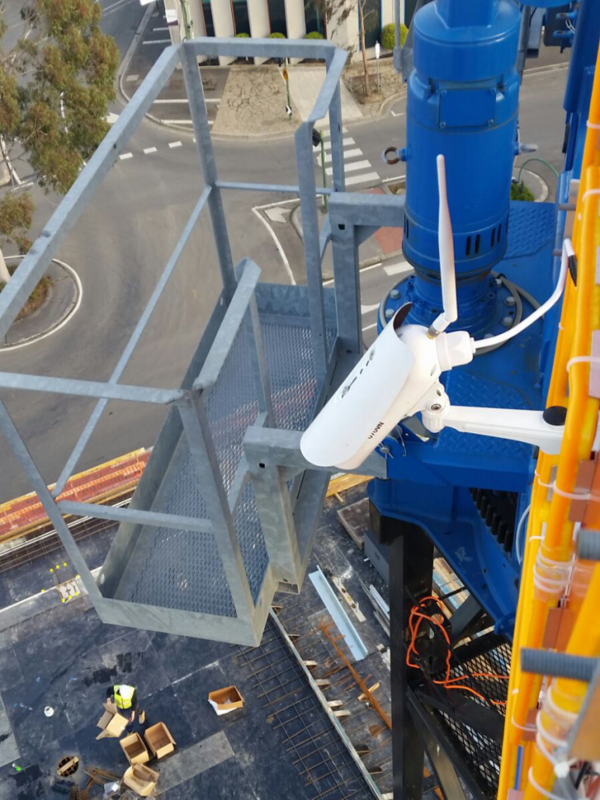 People choose Site View because the product is the most up to date remote CCTV technology currently available on the market and the ongoing client support is second to none. 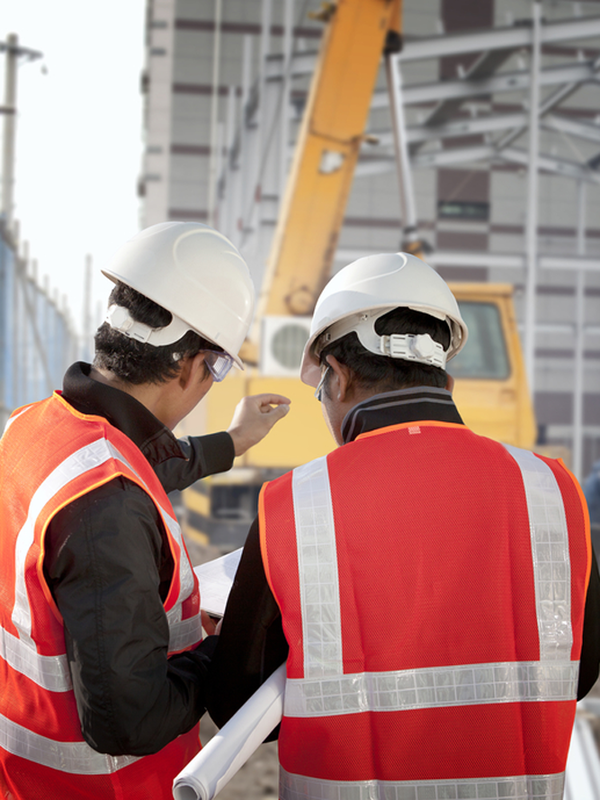 The process starts with an obligation free site inspection. Site View will offer tailored advice and plans for all proposed sites. A proposal/quote is provided with no hidden costs. Once a proposal/quote is accepted the installation of the Site View System is completed in timely manner. Site View provides regular maintenance of the Site View System at no cost to you. Site View provides prompt technical support if required. Confidentiality and Privacy Agreements are provided with all third party involvements. Your site will be monitored 24 hours a day and 7 days a week ensuring you minimise theft and knowing you can access live. In an unfortunate event where there is an incident on site, Site View will provide the footage as required at no extra cost.